Location: W064 44, N3219. Time zone: Atlantic time, one hour ahead of the USA and Canada's EST and four hours behind GMT. Update: Flights no longer occur from Baltimore Washington, Halifax and Orlando. Instead, there are now flights from Washington, DC as above. Hear "Bermuda is Another World"
Bermuda is 600 miles due east of the nearest mainland, the USA's North Carolina. 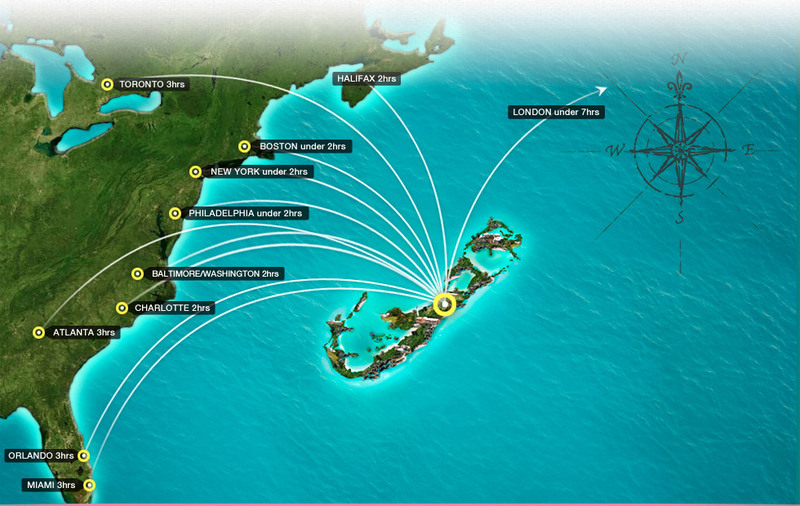 Note above and below frequent daily airline services to Bermuda from the USA (it supplies 85% of Bermuda's international business, imports and tourism markets), Canada and Britain (UK). The World Bank - see http://data.worldbank.org/country/bermuda - rates Bermuda as one of the top four jurisdictions in the world in Gross National Income per capita. Bermuda is an important and strategic offshore business jurisdiction, registered corporate home of many multinational business entities, particularly for investment, insurance, reinsurance and property (real estate) companies whose main business operations, management, corporate control and head offices are located beyond Bermuda. Our cost of living is the highest in the world. 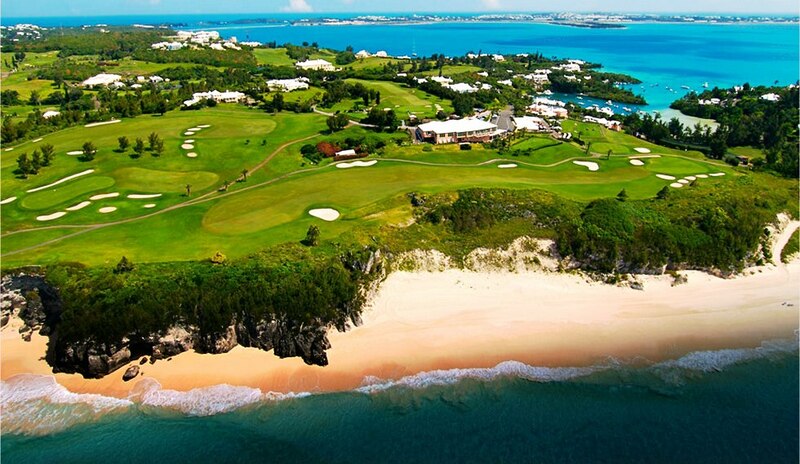 Bermuda is not in the Caribbean but 900 miles north of it, with no airlines flying between Bermuda and the Caribbean. Bermuda is Britain's oldest and smallest but most affluent British Overseas Territory, internally self-governing (except for external affairs and defense). Bermuda, not the UK, creates its laws including those on citizenship, commerce, customs duties, employment, finance, health, insurance, investments, hospitalization, immigration, taxation, trade, welfare, etc. Bermuda is not part of the European Community, unlike Britain (until March 2019). UK visitors to Bermuda are welcome but like all other visiting and most resident foreign nationals are not local citizens, have no free UK NHS-style medical services or residential or voting rights and are restricted in real estate purchase to the top 5% of single family homes or condominiums in assessed or market value. Size and resident population. Bermuda is 21 square mile (56 kilometers) in total land area, a cluster of small islands (6 main islands and 120 others) in the north west Atlantic Ocean. It is one of the nine smallest places in the world in total land area, compared to the USA's 9.629 million square kilometers. The main islands are connected by bridges. With nine parishes (counties or districts), each 2.3055 square miles (3.68 square kilometers, Bermuda has about 65,000 residents and 550,000 visitors yearly, mostly from cruise ships that visit one of Bermuda's three cruise ship ports. One of the many spectacular Bermuda beaches and scenes. Email Guest book 2019 Links What's New!